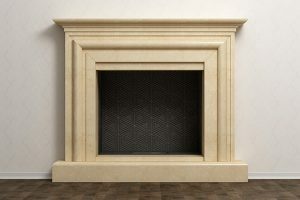 Home > Blog > Why Doesn’t My Fireplace Work? It’s the wintertime, with fat snowflakes piling up on the streets and a cold wind whipping through the naked trees. You’ve got the hot chocolate ready, two steaming mugs set aside, and all that’s left is to turn on the fireplace. It’s gas, so there’s hardly any effort, which makes the entire winter season so enjoyable. Then, you notice that it’s not lighting. Your fireplace isn’t working—what do you do? Don’t worry we’ve got you covered. Does Your Fireplace Remote Run on Batteries? Before you roll your eyes at this first suggestion, consider Occam’s Razor, where the solution to a problem is likely the simplest answer. If you’re using a remote or receiver to switch your gas fireplace on or off, then there’s a good chance the batteries are dead and need to be replaced. Maybe your batteries have been neglected, or if you’re like most people, you’re still on the original batteries and haven’t thought to replace them. Either way, it’s about that time to check them out. A tripped circuit can happen to the newest of houses. Electrical wiring being subjected to an overdose of energy current coursing through it leads to the breakers being overwhelmed, tripping—or cutting—of the flow of power in an effort to prevent the circuit from overheating. Could this be your fireplace’s problem? Head to your circuit breaker box to investigate, you’ll easily be able to decipher if something tripped, as the switch will be flipped to “on”, but there won’t be an indicator light. Switch it on and off again to reset the breaker, and then consider lightening the load of electronics relying on that particular breaker. A thermocouple is a metal sensor that heats with direct contact with your pilot light’s flame. These sensors are usually found on new fireplaces, and work to sense the temperature of the fireplace in order to ignite the gas if necessary. Alternatively, a thermopile is a temperature sensor that creates electric voltage, which opens the gas valve at the touch of a switch. While these elements are integrated into fireplaces to make their use easier, they can be the reason behind a fireplace failing to work. As you can tell, it’s going to take a little more knowledge and know-how than an average DIY-er to fix the problem here. For problems with your thermocouple and thermopile, it’s best to call in the professionals. Does your fireplace draw its source of fueling from a propane tank? If you’ve checked for the obvious problems, then it’s time to take a look at what’s going on with your propane tank. There’s a knob on the tank that controls the release and flow of gas, and you’ll want to ensure that this is working first. Perhaps the knob wasn’t opened to release the gas, but if that’s not the case, then the tank could be empty. Best call your propane supplier for a new one! Some fireplaces rely on natural gas, and for these, the gas is delivered to the fireplace via the gas line. 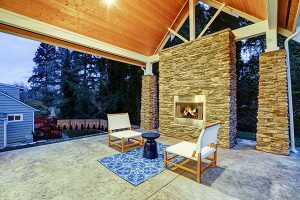 If all other avenues for the issue are exhausted and you believe the source of the fireplace failure lies in the gas line, then contact your natural gas supplier right away. Natural gas lines are not a problem you can resolve on your own. Get the utility company in charge of the line to come out and examine your line right away, as they’re trained and educated in working with natural gas supply lines. If there’s a problem with your fireplace’s pilot light, you’ll be able to detect it right away. Your pilot light is responsible for distributing gas into the fireplace, and without it, there’s no fire. You can spot gas coming out of the pilot light by seeing if the air is wavy—that’s the gas. If you’ve got a lighter next to it and nothing’s happening, then there’s your issue. You will either need to relight the pilot light or turn your fireplace off and clean it. Soot, dirt and other debris easily get trapped here, preventing your fireplace from working. 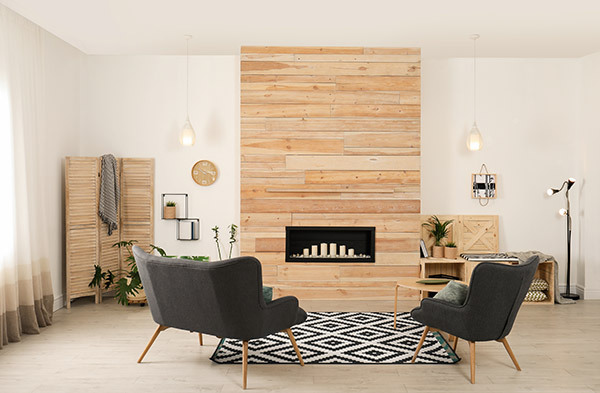 Just the same with a gas fireplace, there are problems that can pop up with a wood-burning fireplace, too. 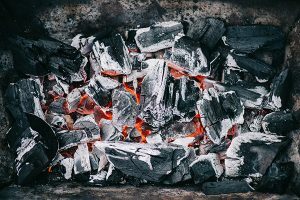 If you go to light your fireplace and smoke begins to billow back into your living space, then there’s a problem with the chimney, flue or flue liner. It’s dangerous, so put out the fire and don’t use the fireplace until a professional has resolved and inspected it. Unseasoned wood can also be a problem for many homeowners. You will have to examine if the firewood is properly seasoned in order to light a fire. Starting a fire with an unseasoned wood can create more creosote and that creosote will stick to your chimney. Unseasoned wood takes longer to get lit and it burns out with so much effort. As a result, your chimney will release moisture instead of dry smoke. As a homeowner, it’s important to take care of your chimney and fireplace with maintenance and care. Take the time to season your firewood and make sure you get a regular chimney inspection to clean off the creosote inside your chimney. Whether you have a wood-burning or gas fireplace, you need to have it inspected. 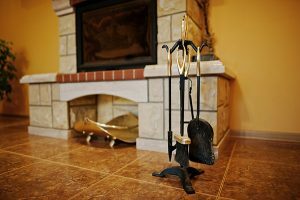 Gas fireplaces, despite not dealing with the same concerns as a wood-burning one, still require the keen, trained eye of a professional chimney inspector. When we light a fireplace, we are literally playing with fire inside our homes, and this is certainly not a risk any of us want to take by neglecting them. At Early Times, we regularly inspect chimneys from outside and inside. Speak to a specialist and get a free quote online today.